Today, the Supreme Court of Canada granted our client Ivan Henry’s application for leave to appeal a January 2014 decision of the British Columbia Court of Appeal that would have affected his civil claim for compensation for his wrongful conviction. Mr. Henry was acquitted and freed by the Court of Appeal in a 2010 decision, but the government refused to pay him any compensation for the 27 years he spent behind bars. Mr. Henry brought a lawsuit for damages, which was scheduled to proceed to trial on September 8, 2014, but he will likely now have to wait another year or so for his day in court. Charter of rights – Crown law – Crown liability – Applicant wrongfully convicted and incarcerated during almost 27 years – Subsequent civil claim against provincial Crown for, inter alia, malicious prosecution and seeking Charter damages for non-disclosure of evidence at trial – Whether Crown prosecutors liable for anything less than malicious prosecution – Canadian Charter of Rights and Freedoms, ss. 7, 11(d), 24(1). Mr. Henry was convicted in 1983 of 10 sexual offence counts, was declared a dangerous offender and sentenced to an indefinite period of incarceration. He remained incarcerated for almost 27 years, until granted bail in 2009, and was acquitted in October 2010. Mr. Henry then sought damages against, inter alia, the prosecutors for the injuries he alleges he suffered as a consequence of the wrongful conviction and incarceration. The claim relates to the actions of Crown counsel through the course of the trial and subsequent appeal processes. 120. The various acts and omissions that violated the Plaintiff’s right to disclosure and/or his right to full answer and defence and/or his right to a fair trial, as described in paragraphs 113-119 above, were a marked and unacceptable departure from the reasonable standards expected of the Crown counsel. The amendment was subsequently refused by the B.C. Court of Appeal, on the basis that Supreme Court authority currently forecloses prosecutorial liability for negligence and requires evidence of malice. Today, the benchers in Convocation (the governing body) of the Law Society of Upper Canada voted, by a margin of 28-21 against a motion to accredit the Trinity Western University law school. “On April 23, 2014, the Law Society received a written request to convene a special general meeting of the Society, which was signed by at least five per cent of the members. The nature of the business that is proposed to be considered at the meeting is a resolution directing the Benchers to declare, pursuant to Law Society Rule 2-27(4.1) that Trinity Western University is not an approved faculty of law. A resolution passed at a general meeting is not binding on the Benchers except as provided in section 13 of the Legal Profession Act. Lawyers interested in this decision who have not already done so are encouraged to read the supporting documents considered by the Benchers and review the webcast that has been archived. In accordance with our Rules, the Benchers will call a special general meeting within 60 days of the request. A notice of the special general meeting will be mailed to members at least 21 days before the meeting”. Rubin “Hurricane” Carter died in Toronto Sunday at the age of 76. I met him at the old Vancouver Public Library (the prominent downtown Vancouver building now occupied by a Victoria’s Secret lingerie store) several years ago, while he was on a speaking tour. I found him to be charming, ebullient and passionate. What impressed me most was his apparent lack of bitterness after spending 19 years in prison for a crime he did not commit. The best years of Rubin Carter’s life, and the opportunity to excel in a professional boxing career, were taken away by a fallible criminal justice system, yet he remained remarkably upbeat. The “Hurricane” was an exceptional human being. May he rest in peace. We have been acting as counsel for Ivan Henry since 2006, when the provincial government appointed a special prosecutor to investigate whether Mr. Henry was the victim of a miscarriage of justice. Mr. Henry had been sentenced to an indefinite term of imprisonment in 1983, following his conviction on ten counts of sexual assault. In 2010 the British Columbia Court of Appeal acquitted Mr. Henry of all charges, finding that “the verdict on each count was not one that a properly instructed jury could reasonably have rendered.” He was freed after spending almost 27 years in jail. Ivan Henry was never going to be the middleweight boxing champion of the world and Bob Dylan didn’t write a song about him. 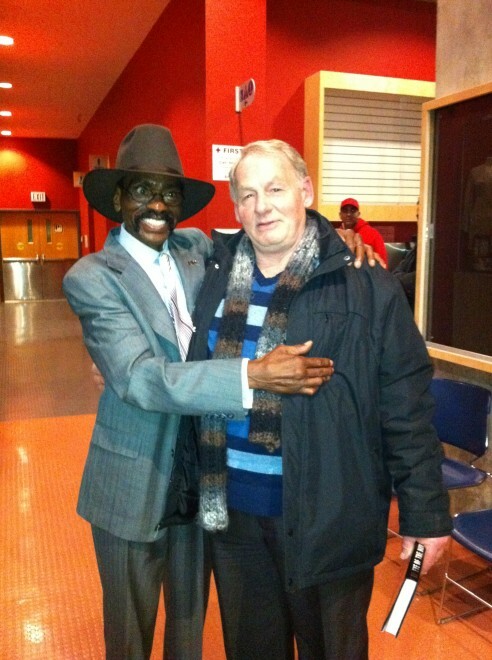 The government has not provided Mr. Henry with any compensation for his wrongful conviction. His civil claim is scheduled to proceed to trial on September 8, 2014. By a margin of 20-6, the benchers of the Law Society of British Columbia defeated a resolution that would have rejected Trinity Western University’s proposed law school as an approved faculty of law. I was in the minority, along with Joseph Arvay, Q.C., Peter Lloyd, FCA, Sharon Matthews, Q.C., Jamie McLaren and Lee Ongman. I was influenced, in part, by the December 2013 report of the Special Advisory Committee of the Federation of Law Societies of Canada. Although the FLSC granted preliminary approval to TWU, it acknowledged that the university’s Community Covenant would make members of the GLBT community feel “unwelcome” there. The FLSC’s Special Advisory Committee seemed to suggest that students seeking to attend law school have many other more welcoming options to choose from if they are offended by TWU’s discriminatory policies. Many of the benchers who voted against the resolution (and for TWU’s proposed law faculty) cited a 2001 decision of the Supreme Court of Canada which addressed a similar issue in the context of TWU’s desire to establish a teachers’ college, and suggested that the Law Society was bound by the outcome of that case, which was in favour of TWU. For my part, I’d like to feel that we live in a more enlightened age today, and that those in positions of leadership in our profession will challenge discrimination on the basis of sexual orientation wherever and whenever it rears its ugly head.